The daunting task Apple has to fix their maps app, after removing Google from the current version of their iOS, includes better alternative transportation options. While they’ve pledged to fix the maps, currently they’re not offering bike maps and offloading bus routes to 3rd parties. I met and rode with the coder who wrote Google’s Bike Maps and don’t think he’s on Apple’s team, Tom Tom, or one of those 3rd parties working on a fix. Just yesterday on a spin to test out my sprained ankle, I rode to my daughter’s soccer game. 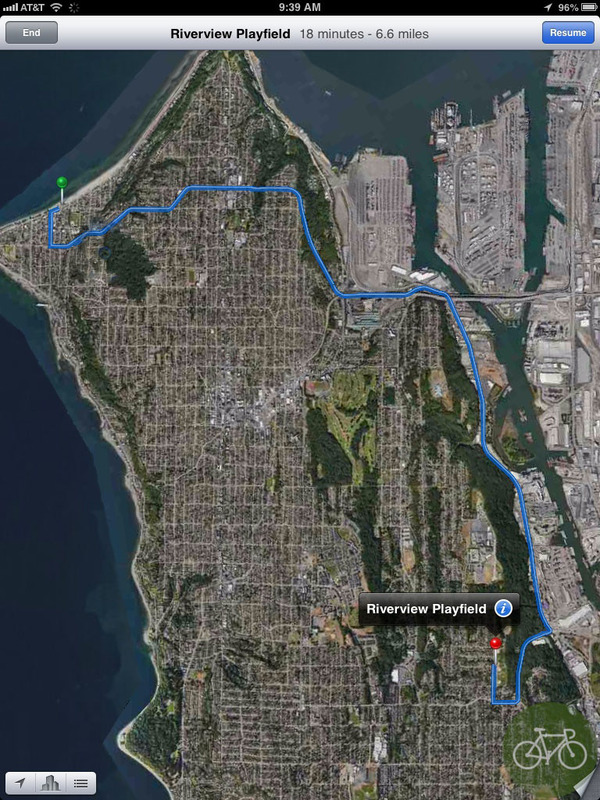 It was a few miles away at a park and Google mapped the route near perfectly and I could make changes to the map in web view and send it to my phone. Then view it in the app. 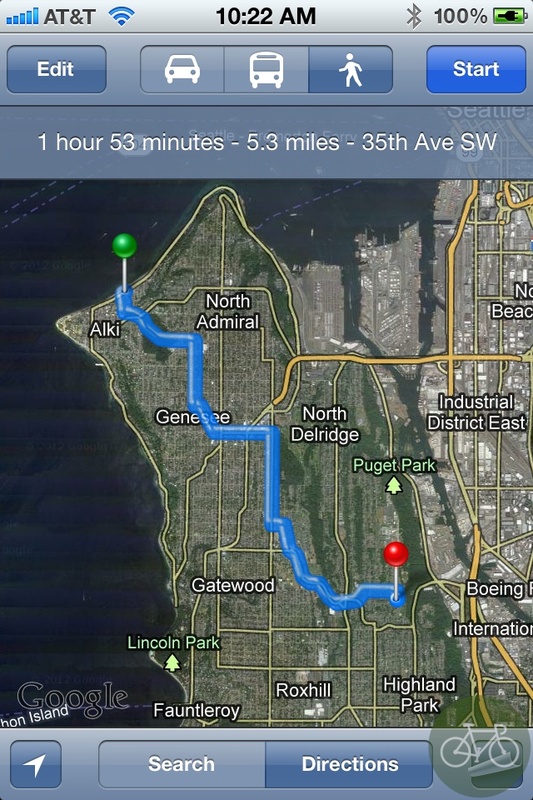 Apple Map’s version of that isn’t even close. As I was writing this post, Google added Street View to their mobile browser site, which is great news. 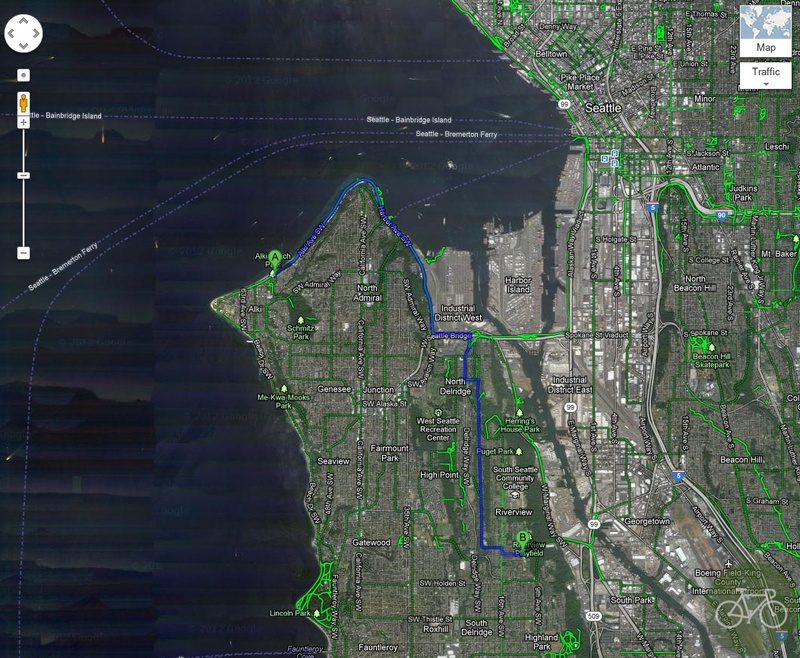 So you can map your ride directions, send it to your phone, and view it in your browser. Google hasn’t said when they’ll get a new iOS 6 app done. For the reasons behind Apple’s decisions to remove Google and focus on their own solution, see this Bloomberg article on a post Jobs Apple. The business of it make sense, sure, but it was a bad call for users and especially those of us that map alternate routes.